Within weeks of Pearl Harbor, the Japanese Imperial Army pushed American and Filipino troops out of Manila. They were forced into the jungles of the Bataan Peninsula and the Island of Corregidor where they were cut off from supplies. Hungry and suffering from tropical disease, the troops were promised by the commanding Gen. Douglas MacArthur that “thousands of planes” with food, medicine, and reinforcements were on their way. But no help had arrived by March when MacArthur was ordered to leave and set up a command in Australia. 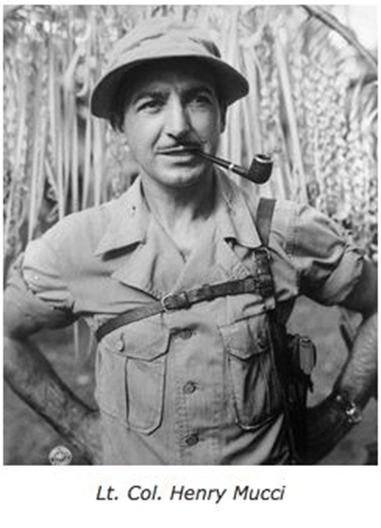 By April, Allied losses and the lack of supplies in Bataan were so bad that Maj. Gen. Edward King, the local commander, ordered the surrender of 70,000 troops (Filipinos and Americans); the largest American army in history to surrender. Having made plans to accept the surrender of about 25,000 soldiers, the Japanese were overwhelmed with POWs. Food, water, and housing for all the unexpected prisoners were never supplied. 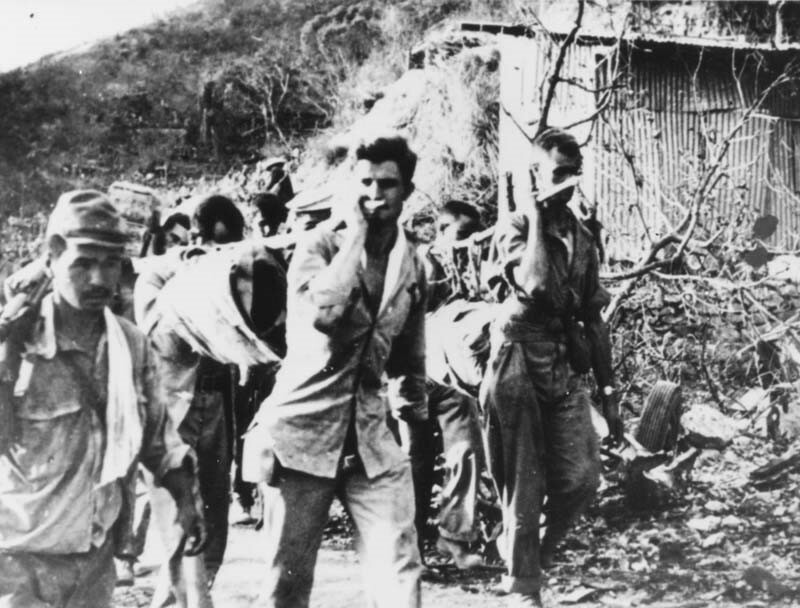 Less fortunate than the men on Corregidor who surrendered a few months later, the exhausted, sick men pouring out of the Bataan jungles were force-marched through the heat on what survivors called “the Hike.” History named it the Bataan Death March after thousands of United States Army Forces in the Far East (USAFFE) soldiers died from deprivation, disease, or simple execution; all stragglers were killed. Prisoners who reached the squalid prison camps alive realized that hunger, thirst, sickness, and brutal treatment would now be routine. Imperial Army soldiers had been trained to commit suicide to save their families from the “dishonor” of surrender. Ready to take their own lives, they had little concern for the lives of a dishonored enemy. 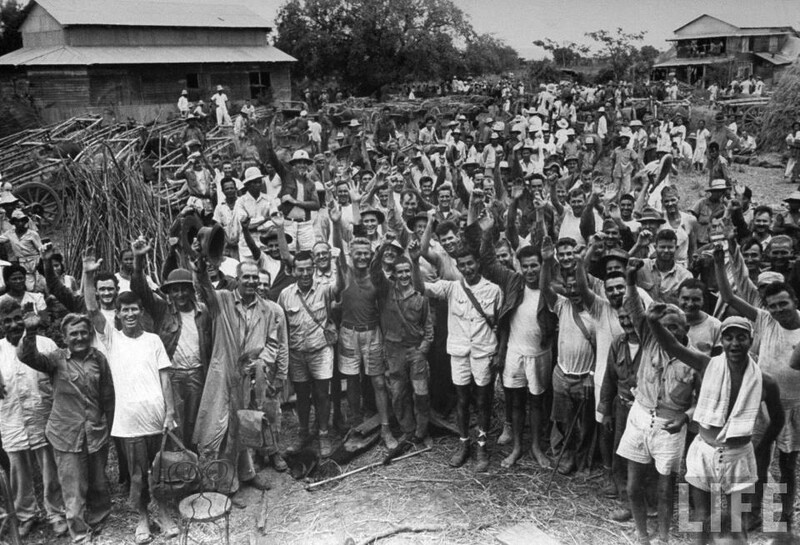 Still, deadly as they were, Philippines POW camps weren’t extermination camps – not until December 1944. By then, the Allies were winning battle after battle and MacArthur was making good on his promise to “return.” Japanese commanders of POW camps were given the option of killing their prisoners rather than return them to the Allies. On December 14, guards at the Palawan prison camp, fearing defeat, herded nearly 150 prisoners into bunkers and set the bunkers on fire. MacArthur’s forces invaded the Philippines in January. As they advanced, word reached Lt. Gen. Walter Kreuger of the Sixth Army about the Cabanatuan POW camp north of Manila, where 516 British and American Soldiers still survived. Many of them were survivors of the Hike. Kreuger ordered a rescue mission. But how to do it? Cabanatuan was 30 miles (48 km) inside enemy lines and heavily guarded. Surprise was essential: the Americans had to take control before the guards had time to kill the prisoners. But the prison was on open ground, and Caucasian U.S. Soldiers didn’t exactly blend in with the Filipino community. And if the raid was successful, how could they move the prisoners out of enemy territory? The survivors in Cabanatuan were living skeletons who could barely walk. But after all those soldiers had suffered, Kreuger refused to let the men of Cabanatuan die. To accomplish his mission impossible, the general called on the Rangers. The Sixth Army Rangers started out as “mule skinners,” leading mules that packed heavy artillery through the mountains of New Guinea. The army decided pack mules were obsolete, but they kept the guys- sending them to train under Lt Col. Henry Mucci. Under Mucci’s tough regime, homegrown farm boys became experts at hand-to-hand combat, bayonet and knife fighting, and marksmanship -elite fighters. Mucci asked for volunteers who would “die fighting rather than let harm come to those prisoners.” Every single Ranger volunteered. And on January 28, 1945, they set out on their liberation mission. Guiding them secretly through rice paddies and cogon weeds were the Alamo Scouts (a Sixth Army outfit that gathered intelligence behind enemy lines) and Captain Eduardo Joson’s group of Filipino guerrillas. The Scouts would provide information on the prison layout and the numbers and positions of the guards. Joson’s guerrillas would cover the Rangers during the attack and -if all went well- on the return to base camp, too. After close calls with enemy patrols and acquiring plenty of blisters, 120 Rangers and their guides ended their march successfully five miles from Cabanatuan. But Scouts brought bad news of heavy Japanese activity in and around the prison. A surprise attack and safe escape seemed more impossible than ever. Then salvation appeared in the form of Captain Juan Pajota. 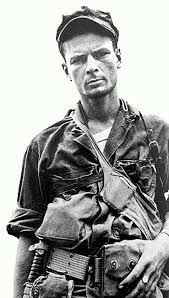 The United States Army Forces in the Far East guerrilla captain had heard that the Rangers planned the surprise break that night. Pajota and his men had arrived to help, but the Captain warned the Rangers to wait 24 hours, since many of the Japanese would be moving on. Mucci didn’t like the delay, but he eventually agreed to it -and to some of Pajota’s more unusual ideas, too. On the evening of January 30, Filipino guerrillas cut the phone lines to Manila. Captain Joson and Captain Pajota’s combined forces of about 300 Filipino guerrillas blocked the east and west ends of the road that passed the POW camp, isolating the camp from enemy forces. But as the Rangers crawled the last mile through an open field, they knew the guards would spot them. Suddenly, a P-61 night fighter or “black widow” buzzed Cabanatuan POW camp. The plane (Pajota’s idea) had been requested by Mucci. While the Japanese guards stared up at the sky, wondering if the plane would crash, the Rangers crawled into position. They divided up, some going to the main front gate and hiding until the others reached the back entrance, where signaling shots were fired. Then locks were shot off and the Americans moved inside the prison, guns blazing. They quickly overwhelmed the guards and the raid went like clockwork -until the evacuation. Hearing gunfire and sure they’d be murdered, many POWs hid. Others, out of touch for years and nearly blinded from starvation, didn’t recognize the Rangers uniforms or weapons. Some POWs fled at the sight of their saviors; a few believed it was a trick and refused to go anywhere. Pushing some prisoners toward freedom and carrying others, the Rangers hustled them to a site where Filipino civilians waited with Pajota’s final gift -ox carts pulled by tamed carabao (water buffalo) for the prisoners to ride in. 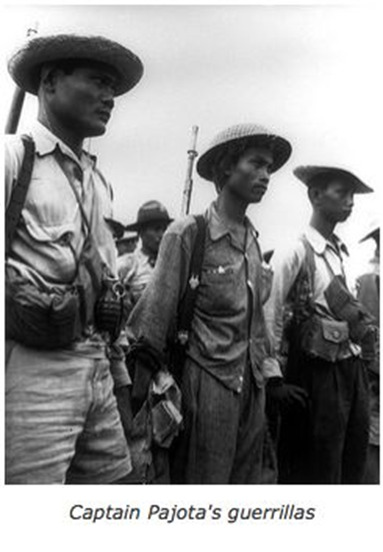 As Filipino guerrillas bravely held off the Japanese, and the Scouts stayed behind to fend off any retaliating Japanese, a strange band of prisoners, carabao, and former mule skinners traveled all night to the safety of the Allied front lines. About 1,000 people, including the U.S. Army, Filipino guerrillas, and unnamed Filipino civilians, had worked to set them free, resulting in the most spectacular and successful rescues in military history. Eventually 272 American survivors of Cabanatuan sailed into the San Francisco Bay. Greeting them were crowds massed on the Golden Gate Bridge. As the former POWs sailed underneath the bridge, the cheering crowds threw gifts (coins, show tickets, and even lingerie) down to the deck of their ship. These heroes of the Philippines hadn’t been forgotten after all. In late 1945, the bodies of the American troops who died at the camp were exhumed, and the men moved to other cemeteries. Land was donated in the late 1990s by the Filipino government to create a memorial. The site of the Cabanatuan camp is now a park that includes a memorial wall listing the 2,656 American prisoners who died there. Short film on survivors following their liberation.